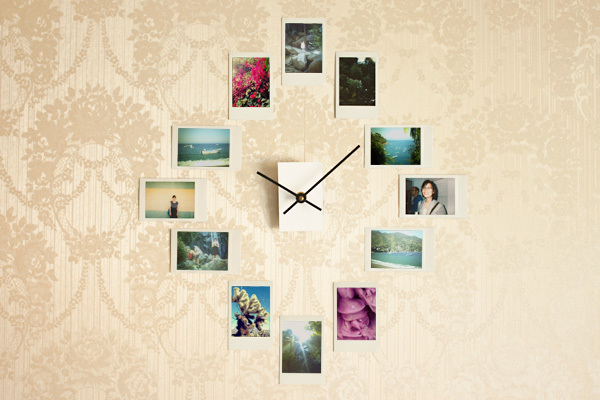 Original and very beautiful wall clocks can be made using frames, in which colorful pictures are inserted. The mechanism with the arrows comes from any Chinese watch, well the frames are bought in the store or are made by hand. It remains only to attach all this to the wall in the right order. 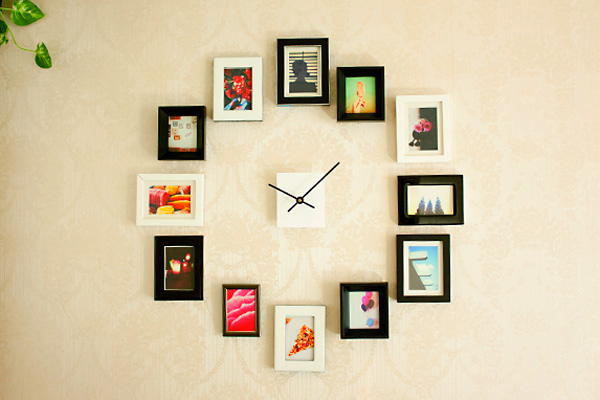 In principle, you can make such a clock and withoutNot expensive frames, just by gluing photos to the wall. It turns out, of course, is not so spectacular, but it is also quite nice, plus one does not have to hole the wall (you will not be able to do this in a rented apartment).